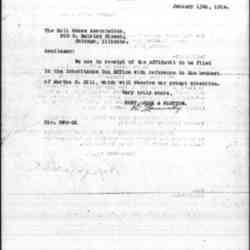 We are in receipt of the Affidavit to be filed in the Inheritance Tax Office with reference to the bequest of Martha S. Hill, which will receive our prompt attention. 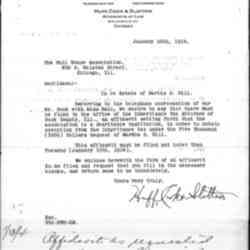 Narensky, L. and Huff, Cook & Slottow, “N. 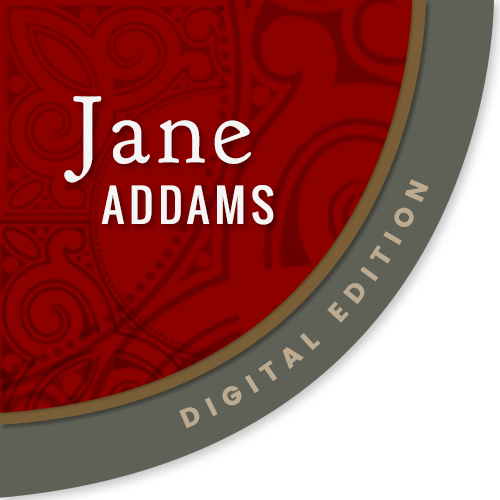 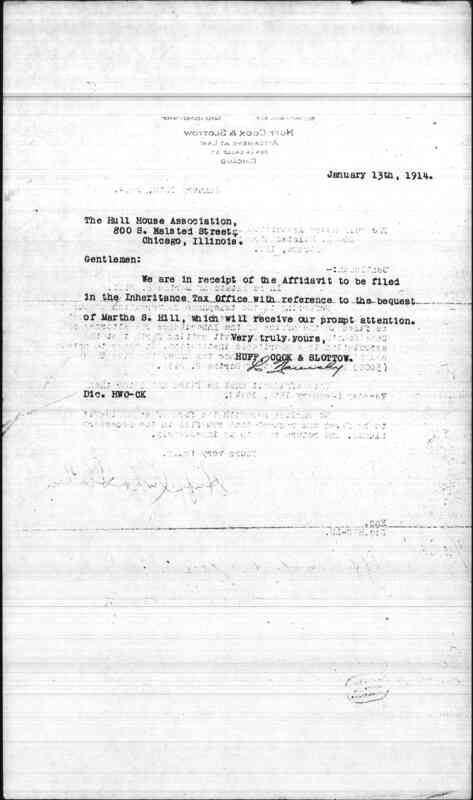 Yarensky to Hull-House Association, January 13, 1914,” Jane Addams Digital Edition, accessed April 22, 2019, https://digital.janeaddams.ramapo.edu/items/show/7008.